← A Chef I am Not. Jack William Wissinger will be arriving in less than 2 months so it’s time to get started for goodness sake. 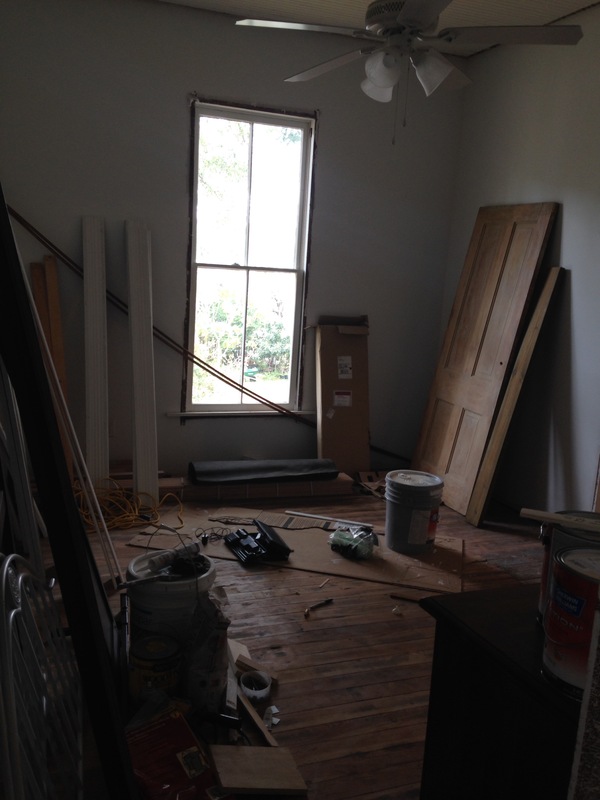 His room is the last room in the old house to be touched so here we go. It was the throw it all in room. If something didn’t have a place, it came here. Even before it was Jacks room, it was always the nursery. Why? Not sure. We had named all the other rooms in the house. Some names came from the tenants that used to live here and some have gotten names of their own. One day Steve named it the nursery and it stuck. Now it’s really a nursery! Last week Steve started on the ceiling. It needed repaired, sanded and last night it was painted. 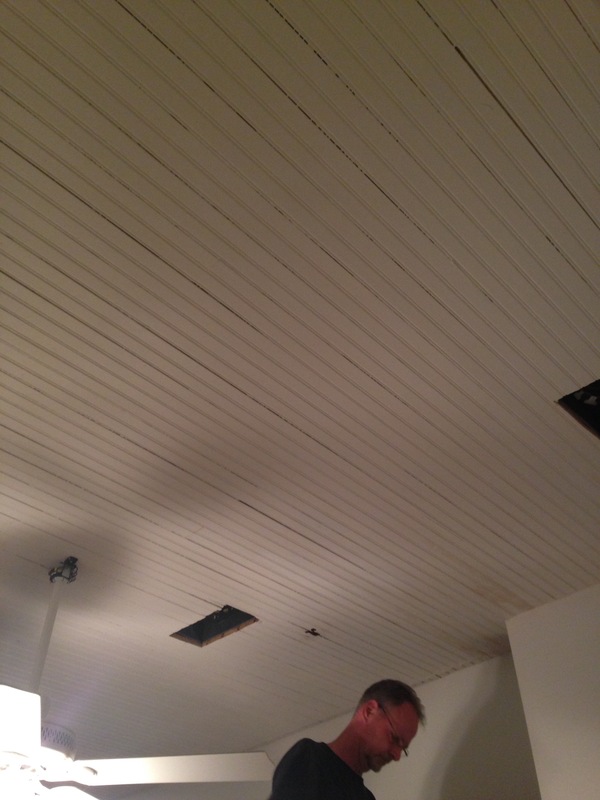 The original bead board ceilings good as new. 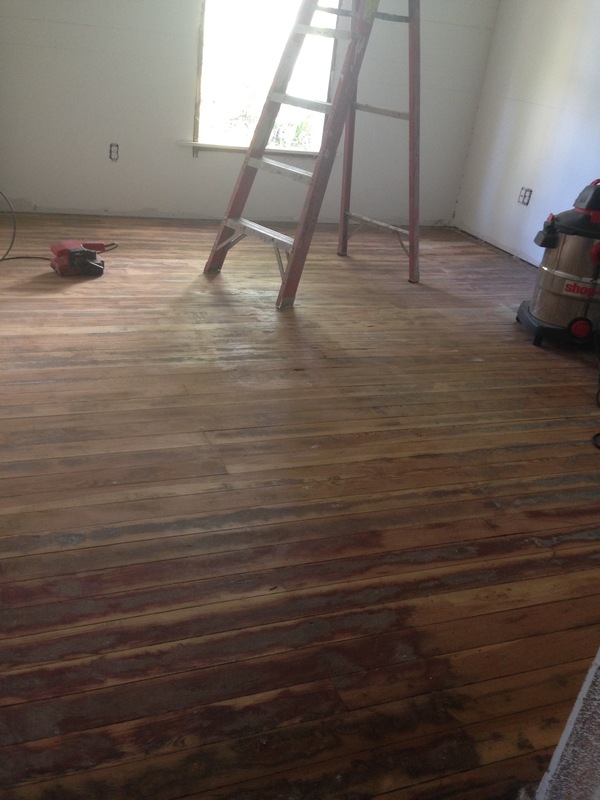 I started on the floors. Repairs and more repairs. Then the repairs needed sanded and ready for paint. I alread painted the closet and this week starts the accent wall. I’m finishing up this wall today and I’ll show you tomorrow. It’s gorgeous darling, simply gorgeous! And oh the plans I have for that window!! This entry was posted in Cinderella Project. Bookmark the permalink.